My Story card: Bea Darby remembers her and her sister seeing their first show. 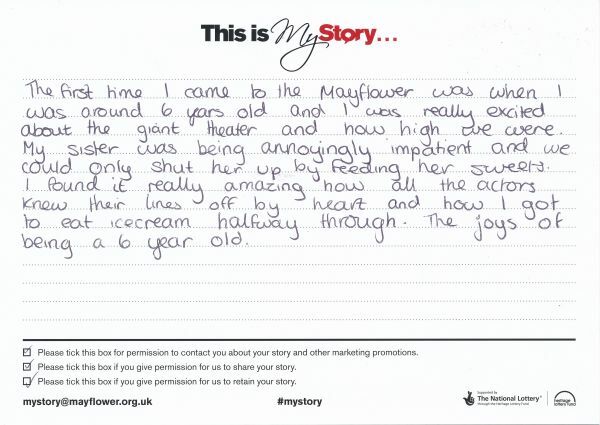 The first time I came to the Mayflower was when I was around 6 years old and I was really excited about the giant [theatre] and how high we were. My sister was being annoyingly impatient and we could only shut her up by feeding her sweets. I found it really amazing how all the actors knew their lines off by heart and how I got to eat icecream halfway through. The joys of being a 6 year old.